Alex Honnold net worth and salary: Alex Honnold is an American rock climber who has a net worth of $1.5 million dollars. Alex Honnold was born in Sacramento, California, and began rock climbing when he was eleven years old. He graduated from high school with a 4.7 GPA and went on to attend the University of California-Berkeley, where he majored in Engineering. He dropped out of school his sophomore year to focus on rock climbing full-time. He lives out of his van and travels from rock face to rock face. Since devoting himself to rock climbing full-time, he has set multiple records and firsts, including, the fastest climb of the Nose of El Capitan with Hans Florine, the only solo climb of the Yosemite Triple Crown ever, a solo climb of the Half Dome in 1 hour and 22 minutes, and climbing the Freerider in Yosemite Valley in one day. He has been the subject of television specials and various documentaries. 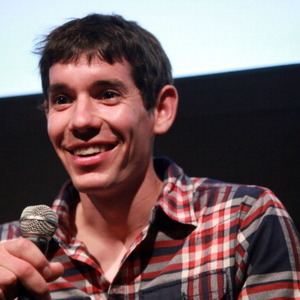 In 2018 Alex Honnold was the subject of the documentary film "Free Solo". In addition to earning more than $20 million at the box office, Free Solo won a Best Documentary Feature at the 91st Academy Awards. In the documentary, he claims to make around the same amount of money as a moderately successful dentist. At one point around the time documentary was made Alex was living out of his car. He now owns a house in Las Vegas, Nevada.